While tropical rainforests have received much conservation attention and support for their protection, temperate and boreal rainforests have been largely overlooked. Yet these ecosystems are also unique, supporting rainforest communities rich in plants and wildlife and containing some of the most massive trees on Earth. The book ends with a summary of the key ecological findings and outlines an ambitious vision of how we can conserve and manage the planet's remaining temperate and boreal rainforests in a truly ecological way that is better for nature, the climate, and ultimately our own welfare. Temperate and Boreal Rainforests of the World is a call to action for an accord to protect the world's rainforests. It offers a global vision rooted in ecological science but written in common language useful for governments, decision makers, and conservation groups concerned about the plight of these remarkable forests. "To most people, the term 'rainforest' conjures up images of places like the Amazon or Congo. But there are rainforests in the world's temperate and boreal regions, too, and this book provides a unique and valuable overview of the ecology and conservation status of these underappreciated and imperiled forests." "Temperate and Boreal Rainforests of the World is a groundbreaking book, the first comprehensive treatise with contributions from over thirty of the world's top scientists. It is a well-organized, clearly written account of these unique, rapidly disappearing forests and an inspiring global call to action to protect these forests before they disappear." "Eloquently written, this valuable compedium should be enjoyed and pondered by a diverse audience ranging from students to policy makers." "... For any community or college collection focusing on the environment and ecology of forests, Temperate and Boreal Rainforests of the World is an absolute must." "What this book does so well is to describe these precious forests carefully and diligently while not ignoring the threats they face. Often we are confronted with either dull botany or a polemic about deforestation, here we are offered balance and the contributors and publishers are to be congratulated." "The book certainly functions as an excellent reference for conservationists and ecologists around the world interested in the world's temperate and boreal rainforests and could be used as a textbook in university classes...Overall, this is a well-organized, very readable book on the plight of the earth's temperate and boreal rainforests...It offers hope that these forests can be saved, if not in their original form, at least in some modified form...This volume should be of great value to ecologists, conservationists, forest managers, policymakers, academics, students, and concerned citizens." 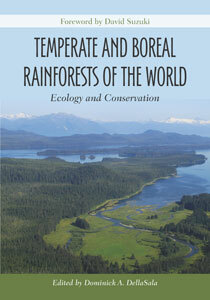 "Temperate and Boreal Rainforests of the World is the first book to bring together leading scientists to describe the ecology and conservation of these lesser-known rainforests in an attempt to place them on par with tropical rainforests in conservation efforts, including those of both the Pacific Coast and inland Northwestern North America, and the Prehumid Boreal and Hemiboreal Forests of Eastern Canada. Written in common language, it offers a global vision rooted in ecological science for all who are concerned about the plight of these remarkable forests." "[T]his is the first book to examine such forests at the global level and it does a good job...This is a valuable reference volume for forest scientists; educators; professional resource managers; and other stakeholders engaged in study, management, and policy development for temperate and boreal forest regions...it is the definitive reference to temperate rainforests at the global level." "[An] excellent book ... suitable either for a general reader interested in conservation issues or for use in undergraduate courses in ecology or resource conservation ... "
Check out the interactive map of temperate and boreal rainforests of the world from the GEOS Institute. I began my career as forest ecologist in the 1990s, cataloging the remarkable web-of-life in the old-growth rainforests of Prince of Wales Island. Since then, I have worked with rainforest ecologists around the world to document exceptional places like the Tongass and how they can contribute to a global climate change solution. Last April, hundreds of scientists, including myself, sent President Obama a letter asking him to include the Tongass as Alaska’s first line of climate defense. As the President and world leaders descend on Anchorage this month to discuss climate change, I’m writing again to ask that he enlist the Tongass in his efforts to curb global warming. Alaska is already experiencing some of the worst climatic changes in the world. The last 30 years have seen sharp declines in snow-cover and lake-ice, melting glaciers, sea-ice and permafrost retreat, and displacement of aboriginal villages. Dead yellow-cedars glow like ghosts on slopes from Ketchikan to British Columbia killed by the exposure of their shallow root systems to late-winter freeze because they are no longer protected by snow pack. Recognizing such dramatic changes, scientists asked the President to take immediate action. As climate change impacts intensify, they will change not only rainforest ecosystems but also the natural resource-based economies upon which Alaska’s people rely. Temperatures are expected to rise another 4 to 8° F by mid-century - but there are actions we can take now to avoid the worst of these damages. Protecting the Tongass is one of them. The Tongass’ towering spruce-hemlock forests absorb fully some 8 percent of the nation’s carbon dioxide released as a byproduct of fossil fuel use. In doing so, the Tongass stores over ten times more carbon in its forests than any other national forest in the nation. Once captured from the atmosphere, forests hold on to carbon for centuries in massive trees, rainforest foliage, and productive soils if not disturbed by logging. Unfortunately, the Tongass lags far behind all other national forests in protecting its climate assets as the only national forest still clear-cutting old-growth forests. The Tongass also provides unique fishery and wildlife assets not seen most anywhere else on Earth. I was part of an international team of scientists that used computer models to track climate change over the vast coastal rainforests from the California redwoods to the Tongass. We found that the Tongass, which is relatively pristine with a cool, maritime climate, has the best shot at providing refuge for its rainforest species through the century compared to more southern locales that will dry out faster. As the climate warms, the Tongass may become one of the last temperate rainforests where salmon and wildlife continue to prosper. Recognizing these unique assets, scientists urged President Obama to speed up the transition away from old growth logging that was written into policy still hotly debated. Young forests logged in the 1950s will soon be ready to replace more controversial timber coming from old growth. A rapid transition will need capital investments in retooling lumber mills for processing logs locally, and could begin in as little as five years based on some estimates. Ending industrial old-growth logging on the Tongass makes climate sense and would send a message to the world that America understands the link between global deforestation and climate change. Last September, the U.S. was among 157 governments, corporations, conservation groups, and indigenous endorsers of a non-binding UN Forest Declaration. The signatories pledged to slow deforestation by 2020 and end it by 2030. Globally, deforestation releases more carbon dioxide to the atmosphere than all forms of transportation combined. Meanwhile, the Tongass far surpasses all other national forests in climate, salmon, and wildlife assets that could be part of a comprehensive climate change package put forward by the President at the climate talks in Paris this December. The President should capitalize on the unique opportunity to shine a global spotlight on the Tongass as an incubator of sustainable forestry, a solution to a safer climate, and a rainforest legacy for all Americans that value these world-class public lands. Dominick A. DellaSala is Chief Scientist and President of the Geos Institute in Ashland, Oregon, and President of the North American section of the Society for Conservation Biology. He is the editor of Temperate and Boreal Rainforests of the World. Following a fortnight of negotiations, an unprecedented agreement has been signed by all the world’s 196 nations which identifies forests and ecosystems as fundamental to the world’s climate change response. For the first time, the UN’s Paris Agreement has formally recognized in international law that conserving ecosystem-based carbon stocks including forests is central to achieving climate mitigation goals and that both biodiversity and human rights must be protected when taking climate action. The preamble to the agreement notes the “importance of ensuring the integrity of all ecosystems, including oceans, and the protection of biodiversity, recognized by some cultures as Mother Earth…”. Article 5.1 states that governments should take action to conserve and enhance, as appropriate, sinks and reservoirs of greenhouse gases as referred to in Article 4, paragraph 1(d), of the Convention which refers to all terrestrial and marine ecosystems with specific mention of forests. While the specific policy regime of “REDD+” is not mentioned, reference to “existing frameworks” clearly encompasses REDD+. Also of interest is the reference to incentivizing non-carbon benefits. This language is significant as we now have a clear signal that we need to avoid both deforestation and forest degradation. This is crucial progress given that all too often the need to avoid emissions from degradation has fallen by the wayside in international policy discussions, for example, most recently in the New York Declaration on Forests. Obviously, these good words now need to result in action on the ground. In determining policy options for implementing Article 5, the Paris Agreement provides a mandate for recognizing the mitigation and non-carbon benefits of protecting primary forests given their large carbon stocks and biodiversity values, along with their importance for sustainable livelihoods of customary forest owners. National governments now have the mandate to develop and implement policies and programs that avoid emissions by keeping forests intact and by protecting their carbon stocks and associated biodiversity. There is a strong science-based rationale underpinning the Paris Agreement’s breakthrough statements on the significance of forest conservation and ecosystem integrity for climate change. The Paris Agreement took a major and urgently needed step forward in embracing a more ambitious long-term 1.5ºC target for stabilizing runaway climate change. However, as noted in Article 4.1, limiting global warming to 1.5ºC will likely be impossible if we ignore forest protection as a critical sink for removal of greenhouse gases, as fossil fuel emissions continue to rise. Forests store more carbon than recoverable stocks of coal and oil and it has been estimated that If we lost all forests this century could increase atmospheric concentrations of CO2 by up to 100 ppm, sending us well over the 2ºC target. Forest protection must therefore be part of the mitigation equation. An article published recently in the scientific journal Nature Climate Change by Richard Houghton and colleagues argues that the combined mitigation value of primary tropical forests alone as stocks and sinks, combined with ending forest degradation and restoring degraded forests globally, could amount to the equivalent of 5 billion tonnes of carbon per year. This could provide about half the mitigation needed over the next 50 years to provide the necessary breathing room for the transition away from fossil fuels to a renewable energy future. The Paris Agreement is in accord with this science, with forests no longer viewed as just part of the emissions problem but now understood as a critical component of the climate solution. This better-than-expected news for forests is tempered by the fact that in terms of climate change we are past the eleventh hour. Time is running out fast. The international community has until now focused primarily on stopping deforestation and restoring degraded forests, for example, through the Bonn Initiative. We now need to add the third, essential but still missing component: prioritizing the protection of intact primary forests in all major forest types – boreal, temperate, and tropical. Cyril Kormos, Brendan Mackey, Dominick DellaSala, Noelle Kumpel, Kriton Arsenis, Virginia Young, Sean Foley, and Barbara Zimmerman contributed to this article. This blog originally appeared on JunauEmpire.com and is reposted with permission. Change is not for the risk averse. It is scary stuff that takes us out of our comfort zones and into the unknown. It’s also how we adapt, meet challenges and improve outcomes for our communities and ourselves. People in Southeast Alaska know that better than most. Over the past quarter century, the region has been moving beyond boom-and-bust cycles of unsustainable resource extraction and export. Today, world-class, sustainably managed fisheries, tourism and recreation lead economic diversification that has replaced most old-growth logging. Logging in old growth and roadless areas damages every value and use of the Tongass except timber production. It jeopardizes other economic sectors at the same time that it degrades the natural beauty, fish and wildlife habitat, and the back country that define the region for residents and visitors. And, not surprisingly, it is a source of ongoing conflict. After that great start, though, the Forest Service quickly fell victim to bureaucratic inertia. It took over five years for the agency to announce a draft transition plan. And the plan turns out to be sixteen more years of old growth logging—with all of the uncertainty and contention that would entail. For the past two years, we have been conducting research to determine just how much young forest is available to support a rapid transition. Our field teams recently completed the most intensive inventory of young growth on the Tongass. What we found surprised many. Within about five years, young forests originally logged in the 1950s and since thinned to improve log quality, will have grown enough to sustain and even increase recent Tongass timber production in perpetuity while creating over 200 direct milling jobs alone. This can be done outside sensitive areas like beach fringe and reserves and close to existing roads. That fast, old growth logging could be done for, except “mom-and-pop” operations that support or manufacture specialty products. The Forest Service says it and industry can’t move that fast. But that’s just wrong. Alaska’s timber industry is already making money exporting young logs and processing small trees for window trim and door jambs. With new milling technology that could be inexpensively installed in Southeast Alaska within a few months, far more logs could be kept for local processing instead of sent overseas. And the federal government, working with the state’s congressional delegation, could make capital investments in milling upgrades rapidly affordable with low-interest government loans or loan guarantees. This isn’t the first time change has come to the Forest Service. In the 1990s, the agency was forced by court order to transition out of old-growth logging in the Pacific Northwest. Then, too, some of the agency resisted change. But others, like the Siuslaw National Forest in Oregon embraced it. They rapidly shifted to young tree logging that sent non-controversial logs to mills, made a profit, and kept jobs. Oregon’s trees are different from Alaska’s, but the need for—and benefits of—bold, transformative actions are the same. Fortunately, there is still time for the Tongass to embrace a swift transition that will benefit both the industry and the region’s world-class rainforests. The agency needs to develop the fast transition scenario it has thus far dismissed. It has to give up old school thinking on technical issues like log length that artificially reduce projected timber volumes from young growth acreage. And it should rapidly complete an already-designed wood quality study—with industry participation—to demonstrate the marketability of locally processed young growth products. For the sake of the region, its inhabitants and the rainforest, the Forest Service needs to get its “can do” back, embrace the change already largely happening in Southeast Alaska, “quickly” transition away from old growth, and make good on Secretary Vilsack’s vision. This post originally appeared on Mail Tribune and is reposted with permission. This week, more than 193 nations will celebrate Earth Day. The annual event is a marker for the environmental movement begun on April 22, 1970, when Wisconsin Sen. Gaylord Nelson organized a peaceful teach-in. At the time, rivers were on fire, oil spills fouled Santa Barbara’s coastline, spaceships were headed to the moon, and the nation was at war. Rachael Carson warned in the 1960s of a “Silent Spring” caused by toxic pesticides that were bad for songbirds and people. Hydro-fluorocarbons, a byproduct of refrigerants and other uses, were ripping holes in the ozone, triggering skin cancers. Forests in the Pacific Northwest were being clearcut at an alarming rate of 2 square miles every week, which nearly wiped out the spotted owl and salmon. Clearly, something had to be done. And, thankfully, millions of Americans demanded that Congress pass new laws to give us a healthy environment. Over the past four decades, political activism has led to hard-fought gains in civil rights, gender rights, social justice, and environmental policies, from the Clean Air Act to the Northwest Forest Plan. So, why do we need Earth Day even more now? Because Earth Day serves as an important reminder that we are global citizens on a remarkable, living planet where the fate of all occupants are inextricably linked. And, especially, because our progress towards a reliably clean environment is incomplete. Forty-six years after that first Earth Day, the US, China, and another 193 nations reached a historic climate change agreement. They agreed to cut global warming pollutants by switching to clean, renewable energy and protecting forests that absorb our carbon pollution. Without a moon-shot of climate-saving actions, climate chaos will soon wreak havoc on the environment and the economy. My career spans three decades of Earth Days accumulated from science activism around the globe. Everywhere I go, communities are struggling to balance economic needs with quality of life, clean air and water, and a safe climate. There’s perhaps no better place to witness this struggle than the conflict over forests in our region. We can appreciate our older forests today because in 1993 scientists and citizens got together with Forest Service and BLM to forge the landmark Northwest Forest Plan under a court-ordered injunction on out-of control logging. For over two decades, this plan has directed federal forest management on some 25 million acres from the California coast redwoods to the Olympic rainforest. Without it, old-growth forests, aside from parks and wilderness, would have been gone in this decade, along with abundant salmon runs, clean water, and climate regulation. Older forests on public lands are vital to a safe climate. Simply put, forests are nature’s cooling and water towers. They scrub carbon dioxide from the atmosphere, helping to keep dangerous greenhouse gas pollutants from overheating the planet. 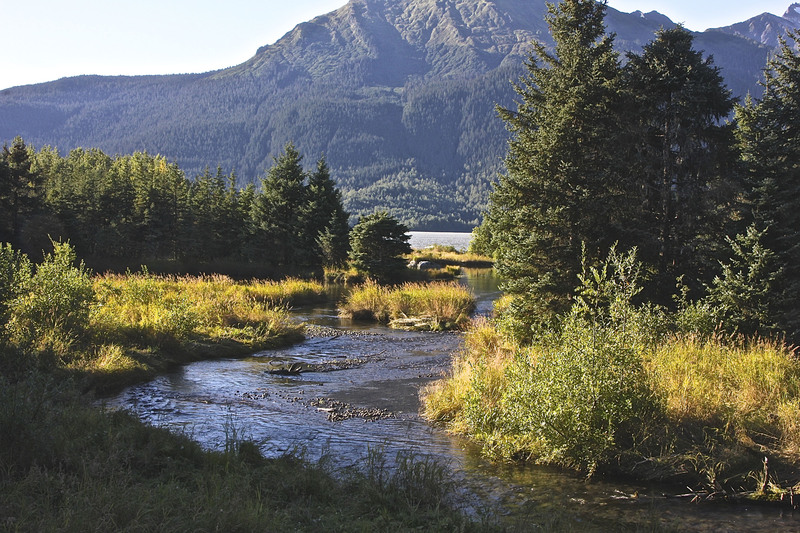 They purify our drinking water, keeping excessive sediment out of streams, which is good for salmon and agriculture. What we do to these forests will set the price of climate change. Former World Bank economist Nicholas Stern warns that a business-as-usual approach to climate change will cost 20 percent or more of the global gross domestic product in health and economic impacts by mid-century. Eugene economist Ernie Niemi estimates that by 2020, Oregon households will pay over $1,900 annually in increased energy, coastal storm and flood costs. Both the Forest Service and the BLM are in the process of revising the Northwest Forest Plan and there is enormous pressure from Oregon counties to increase logging that would reverse progress measured in miles of streams restored, salmon returning to rivers, and millions of acres of older forest as climate insurance. 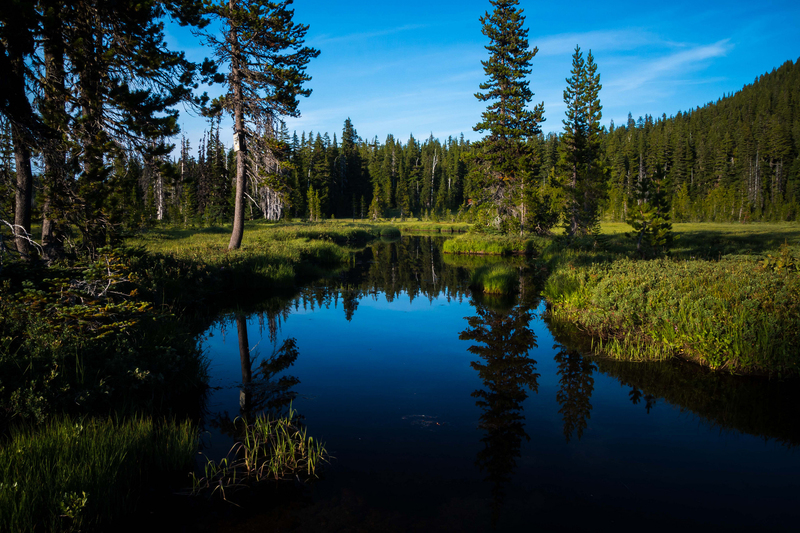 In fact, BLM just announced plans to gut portions of the Northwest Forest Plan by increasing logging on 2.5 million acres, polluting the region with carbon dioxide emissions, and entering stream-side areas that protect us from floods. The BLM plan is national setback to the Obama administration’s leadership on global warming. So on this special Earth week, find time to attend the region’s celebrations as you give thanks for the clean air and water, hiking and remarkable fish and wildlife we get from forests because of the protections that were advocated by citizens and scientists decades ago. We have made great strides in improving the health of our environment these past 46 years, but there is still much to be done. Let’s not roll back progress by gutting the Northwest Forest Plan. After all, a safe climate and our vibrant forests and rivers depend on it!